What can Hearthstone Learn from the League of Legends Competitive Scene? 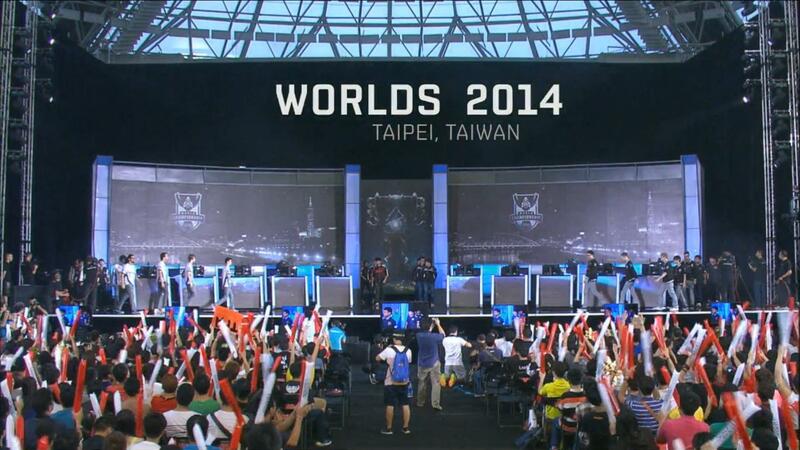 The League of Legends World Championship is currently underway, since I am nerdy I tuned in to see what it was like. 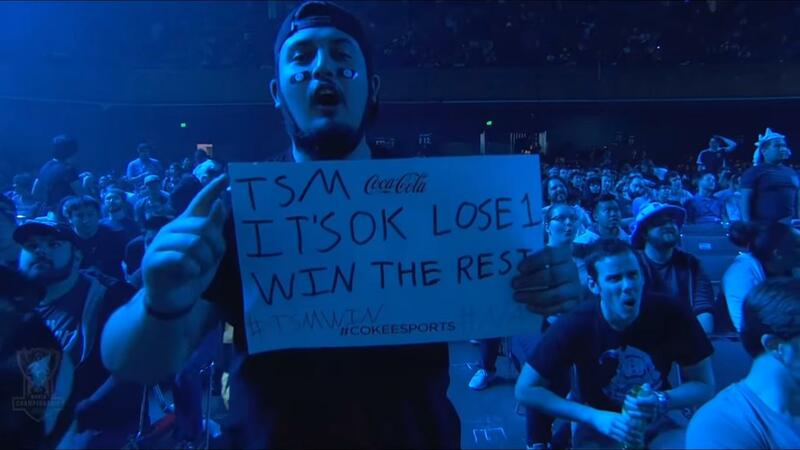 A few years back I was a very involved fan in this scene, I would watch all the games of both the EU and NA LCS. For those who don’t know, this is the weekly League of Legends league and works similarly to European soccer seasons. As I was watching the World Championship I noticed there were quite a few differences between how tournaments work in League of Legends compared to Hearthstone; thus I started to think about what the young Esports of Hearthstone could learn from its bigger brother. What I came up with is four main points which could be classified as: audience interaction, storyline, casters and length. I guess if you want to know what these exactly mean you will have to read on! I want to emphasize that my focus in this piece is from a viewer perspective, I ignore all the drama surrounding contracts and Christopher “Montecristo” Mykles. That being said, I hope you enjoy the article! I think that the interaction with the fans is the one thing that the League of Legends scene has that Hearthstone is really lacking, this is why I put it as my first point. For those who don’t know, when a League of Legends match is ongoing during and after the game tweets from the fans are either showed or read out by the casters. In addition to this, there is always in place a system where the audience can vote for the teams they think will win, this is refreshed regularly and shown throughout the matches. From an audience perspective this is awesome, having your tweet potentially read out and your opinion expressed is exciting! In some way it makes you feel part of the tournament, not just an outside viewer. In Hearthstone I don’t think this would be too hard to implement, you would just to hire one more person when organizing a tournament (social media guy). This person could be put in charge of the Twitter page where fans are told they can send their thoughts. He would then choose the ones he likes the most and we could have the players and casters engage with the chosen tweets. This would be good because it would break the monotony of watching a tournaments, after a few hours of watching games they can become repetitive. Shaman vs Shaman can only entertain you for so long! (Just to make sure no one gets offended, it’s a joke). Additionally, when there are breaks or technical issues there would always be some material to talk about, giving the casters an easier time to entertain the audience. Fan interaction can also happen in game, not only in tournaments. There is a new feature implemented in League of Legends where you can spend little to no in-game currency and have the logo of your favourite team be showcased on command during your games. In Hearthstone I don’t see why we couldn’t have something similar. Instead of our favourite team, we could have logos of our favourite players and personalities. I think this feature could be helpful to introduce people which are not aware of the competitive scene to the competitive scene. For example, suppose Brian Kibler had a logo. A new player might see the name Brian Kibler and search the name on google out of curiosity. He finds the stream and starts watching this cool looking dude playing a Dragon Monkey deck, shortly after he discovers he really enjoys watching streams. Bam, just like this new viewer has been attracted to the Hearthstone scene! Features like this could potentially attract more viewership to tournaments, which means more money and consequentially better production value. Overall, I feel this is the most important aspect which needs to be improved in Hearthstone tournaments. Entertaining the viewers is often not enough to keep them stuck to the screen, you need to engage with them. When watching the League of Legends World Championship I noticed that every player and team has a storyline which the casters pick on when talking about them. This really gets you attached to a certain team or player. For example Doublelift, the TSM AD carry (player), is going to retire soon and thus needs to give the tournament his best shot in order to go out with a blast. This makes it so much better to follow his story, it is not only about the game but also about the person. In general, the audience loves a good story, especially one with a lot of bumps in the way! The best example of this is right now in the World Championship is Team Albus Nox Luna, one of the wild card teams which qualified through opens. They were expected to lose every game, but against all odds they are second in their group. This is amazing, seeing giants in the scene be defeated by unknowns really ups the level of excitement when watching a game. Notice that what is required for Albus Nox Luna’s story to work is a giant (famous team) to defeat. If they were competing against other unknown players, very few people would care about their achievements; even if they might be just as impressive. In Hearthstone, unfortunately, this happens all the time. Players are not properly credited with their achievements because very often we have finals which are fought between unknowns. We have moved from a competitive scene which had a lot of invites to the opposite. When it happened this seemed to make sense, unfortunately the community at the time didn’t realize that they wouldn’t really enjoy watching players they didn’t know compete against each other. This makes it much harder to know for who to cheer, if both players don’t have any distinctive feature about them how can you distinguish them when they play? One thing that I will say is that I was happily impressed by how storylines were developed at HCT Europe (this also has to do with the fact casters had more material than usual to work with). The final between Pavel “Pavel” Beltukov and Dima “RDU” Radu had me really conflicting who to cheer for. On the one hand, Pavel didn’t make it last year because of a misplay due to nerves, the fact he was at it again really impressed me. I am a sucker for redemption stories. On the other hand, RDU is an amazing player and played like a god throughout the bracket. Also, he is probably the guy who worked the hardest out of any player to try qualify for Blizzcon, it would have been nice to see him rewarded for his efforts. In the end I decided I would be both sad and happy no matter the outcome, there was no way out of this one. What I want to emphasize is that I was excited to see this game; it wasn’t just unknown one against unknown two, it was two stories meeting and clashing against each other. Moving on, if Blizzard manages to design the game to a point where top players can be consistent and tournaments start inviting more known players, we might get more exciting games where great storylines meet and clash against each other. Now don’t get me wrong, I think that Hearthstone has top notch casters: Simon “Sottle” Welch, James “Firebat” Kostesich, Alexander “Raven” Baguley and I don’t think I have to even mention Dan “Frodan” Chou, are all excellent at what they do. I feel though that there are some casters which regularly get gigs which could improve their communication skills. What I would like to see is people attempting to break into casting go through the right process, and not be thrown in the huge tournaments straight away just because of their names. Take Firebat as an example. Before getting the big gigs he was casting smaller tournaments for a while in order to improve his casting skills. This really paid off as now he is easily amongst the best. 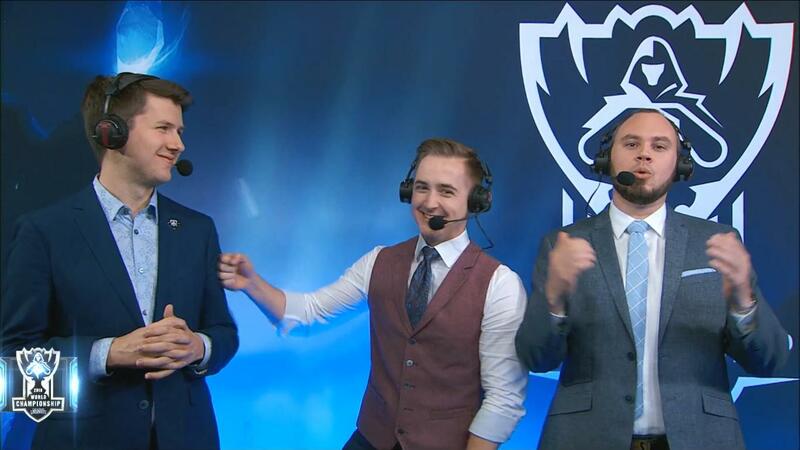 Another thing I wanted to add is that if one looks at the League of Legends casters, they sound like they are having tons of fun and it is funny to see how they poke each other. In Hearthstone we get less of this, even if this is improving as casters get more gigs together (the Sottle-Frodan synergy comes to mind). I realize that it takes time for the synergy to establish itself, and it is already impressive in Hearthstone the synergy exists as the Esport is very new. Going forward, I think that casters should be introduced slowly in the scene in order for them to establish themselves in the group and not have a bunch of unknowns having to interact with each other awkwardly. One thing I love in League of Legends is that the casters are not afraid of criticising plays. If a player makes a mistake I believe that the caster pointing it out reinforces the idea that the game requires skill. This is because if even high levels players can make mistakes, it adds to the idea that mastering the game is close to impossible. At the end of the day we are all human, if every game was played perfectly there would be no reason to comment on the games! In general, I think that the Hearthstone scene is blessed with a lot of excellent casters but there is some work to be done in order to increase the existing pool. Apart from this I don’t have much more to say as I am not a caster and Frodan has already written an extensive piece on the matter (you can find it at: https://frodan.com/2016/07/03/casting-call-2-the-current-state-of-hearthstone-casting-and-why-its-sorely-lacking/ ). Tournaments don’t have to start and finish in the span of two or three days, they can last a long time! If you look at the League of Legends scene you will notice that there is a big mix of tournament types. First, there is the weekly LCS League which functions similarly to a Soccer League. Second, there are smaller weekend events where qualified teams compete against each other in a span of two or three days. Lastly, there is the World Championship which functions like a tournament just it has a huge amount of games. The variation definitely helps the viewership be excited about the events, when formats are ever-changing everything looks fresher to the audience. The key thing I want to discuss is that a card game needs large sample size in order for pattern of consistency to show up, three games is not enough. The reason we very often see the same names at the top of Swiss groups is because these are the players can consistently pull out results. If out of sixty games you can win forty-five, this is a pretty impressive feat. Now, I realize that some tournaments make sense to be played over a short time span and it is not realistic to have every tournament have loads of games over weeks. For example, a top eight qualifier for Blizzcon doesn’t need to last days, one day is more than enough to go through every game. On the other hand, Blizzcon itself could have a bigger Swiss type tournament in order to see who really is the best player, not who is the luckiest one. On top of this, and Reynad with Tempostorm have been great in this aspect, tournaments with different lists of rules take away from the monotony. Once again I have to say that seeing Shaman vs Shaman over and over is not the most exciting of propositions, eventually the casual viewership will get bored of this. Having events like Lord of the Arena keeps viewers entertained and helps players which have a different skill set show what they are capable of. Some player are great pilots, they will be able to play any deck optimally. Other players are great deck-builders and will manage to use their skills to counter the metagame. Then there are the arena players, their skills have to do with card choice and situation. In general being a pilot is only one aspect of the game of Hearthstone, many talented players don’t get to showcase their abilities because of the same formats being re-used constantly. Concluding this section, tournaments can have different formats we don’t have to have conquest best of three till the end of days, giant Swiss groups or last Hero standing are also options (and I am sure there are many others). I want to emphasize that by no means I think that the Hearthstone tournament scene is in a bad place, I really enjoy watching tournaments and I tune in for most of them. The potential for the game is certainly there, Team 5 have done an awesome job making Hearthstone a really appealing game to look at. The game is so polished design wise that my family used to watch tournaments with me in the evenings! All I want to say is that I believe that there are a few steps organizers could take to make these events even better than they already are. This concludes my thoughts on the matter, I would be really curious about what other people think about what could be done to improve (if anything) the tournament scene. If you have any opinion let me know in the comment section! If you like the article consider following me on Twitter: https://twitter.com/matteo_ghisoni , it does go a long way to gain some recognition from the community. Thank you for reading and have a nice day!